On May 22, 2006, I was in a near fatal car accident. I was distracted by my cell phone which resulted in my car hitting the embankment on the opposite side of the road and rolling over multiple times. 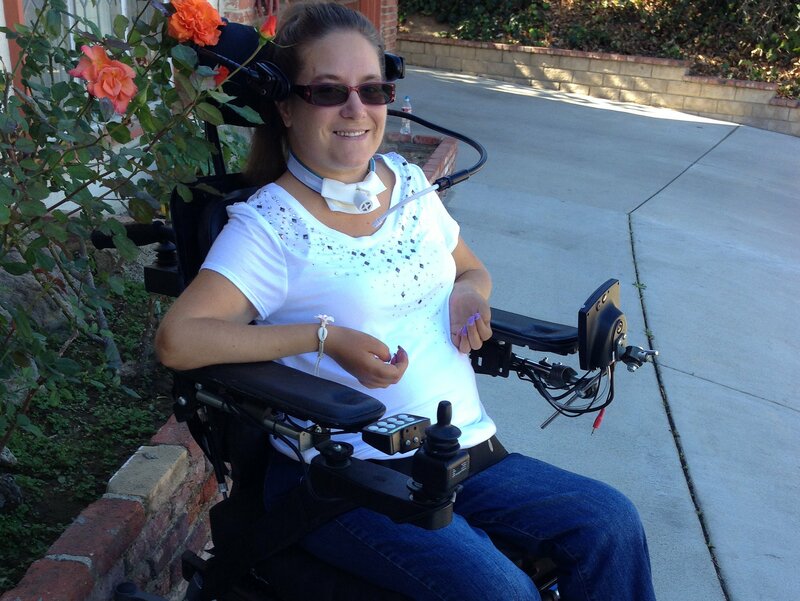 The outcome of the accident left me quadriplegic and ventilator dependent. Since 2006, I have been in several hospitals, rehabs and sub-acute facilities. Today, though paralyzed, I am living in a private home with 24 hour nursing care, able to do many things I hadn’t previously thought possible. But what’s missing is the closeness to my family that I can’t achieve without your help. All of my immediate family, including my precious 17-year-old daughter, live two hours away. It has been extremely hard to live so far away from them. The problem is that the area they live in, Banning has very limited transportation options for people in my situation, which is one of the reasons I live in Northridge. My goal is to raise enough money for an accessible van so that I can move to Banning to be close to those I love most and be there for my daughter as she grows into adulthood. Not only would a vehicle be extremely helpful for my daily tasks such as shopping or going to doctor’s appointments, but it would allow me to pursue my dream of visiting high schools to share my cautionary tale about the dangers of cell phone distractions while driving. Thank you for all your donations. I really appreciate them so much. Having a van will really help me get around more and to see my family and Ashley more. It’s so hard to see them because they are 2 hours away. I want to thank everyone who has donated. I appreciate it very very much!!! I spent Christmas Eve and Christmas with Ashley and my whole family. I had a really nice time. We enjoyed great food, gifts, great family time and lots of laughs!! We took a great family picture too. Look for it in the photo section. All donations made on the website will appear on the following day. I also added $20 that came from my friend Maria! All of these donations! Hi Amy! Kelly's mom Linda, dad Steve, sister Jennifer and aunt barb from Iowa donated the donation I made today Jan 6th. Love you lots!